Laminate has come a long ways since the early days! There are many more colors to choose from than the old white with gold fleck, or that harvest gold. 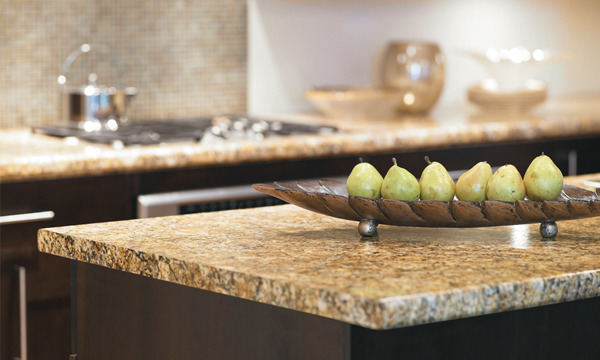 Many colors now even mimic the look of stone giving it a nice natural look and feel. Our laminate tops are made with the highest quality materials and with great precision, insuring a beautiful install either by us or yourself "we'll offer tips". Stop in today to look at all the latest colors, bring in a plan and we'll figure out a cost for you right away. We carry all major brands of laminate, and if you have another brand in mind...we can use that too.